WE HAVE OPPORTUNITIES FOR OPERATERS, FINISHERS, FORM SETTERS AND MORE. PLEASE CALL 214.357.0146 FOR MORE INFORMATION. TENEMOS OPORTUNIDADES PARA OPERADORES, CEMENTEROS, FORMEROS Y MÁS. POR FAVOR LLAME AL 214.357.0146 PARA MÁS INFORMACIÓN. Our experienced crews use high-performance equipment to prepare your site. We own and maintain a fleet of modern construction equipment ready to support these efforts. Our goal is to meet your project schedule and budget. Since 1919, Lacy Construction has successfully completed municipal and county projects, shopping centers, churches, schools, warehouses, car dealerships, distribution centers and residential subdivisions. Put the best people, best practices and latest technology to work for you and experience the difference. Much of our high-production paving equipment was developed by Lacy, uniquely serving our production process. On many projects, we place our own concrete-mixing facilities on-site to reduce trucking costs and congestion and enhance productivity and work flow. Founded in Dallas by Lester H. Lacy, our commitment to his passion for excellence, integrity and performance remains strong as ever. In the past century, we’ve trained many high quality people, and made safety and quality more than a slogan. Our industry leadership has been repeatedly through equipment innovation and new processes that add accuracy and control to our estimating, project management, and production crews. The result has created lasting relationships with valued customers, employees, engineers, government agencies and suppliers. 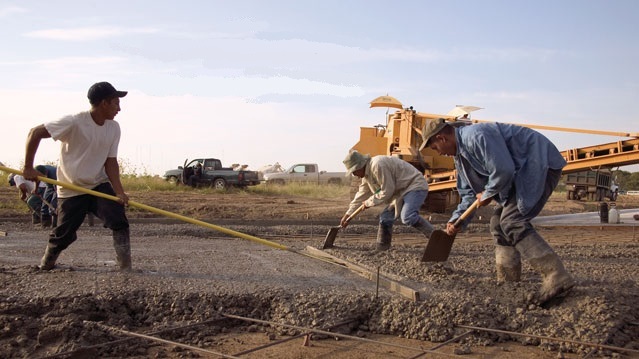 We self-perform stabilization, concrete paving, structures, and underground utility construction, as well as turnkey civil general contracting and project management services, in North Central Texas area. When you need the best in civil construction for projects of any size, contact Lacy Construction. Lacy Construction was founded in Dallas in 1919 by L. H. Lacy, who built the business by constructing homes and buildings, including the city’s historic Woodrow Wilson High School, parts of the renowned Scott & White Memorial Hospital in Temple, as well as Austin’s landmark Driskill Hotel. 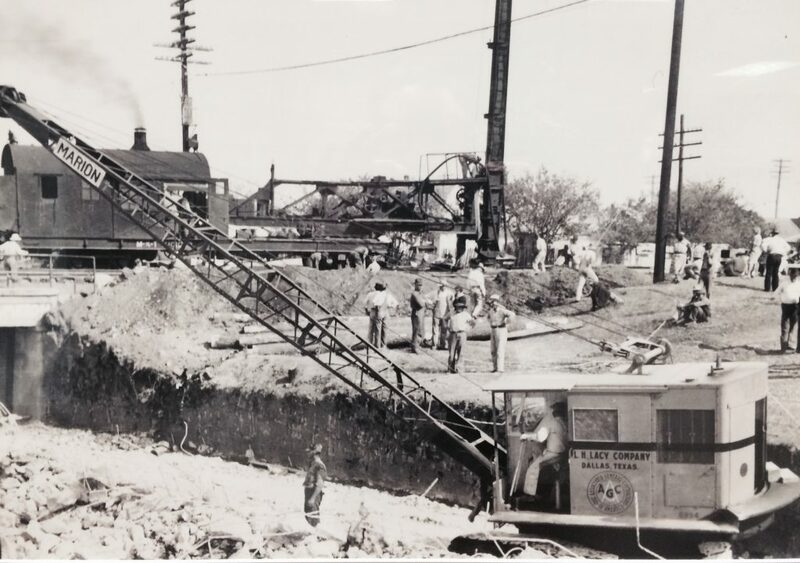 In the 1930s, we added heavy civil construction services and began building bridges, brick highways and concrete pavement. Notable projects included portions of Dallas’ Central Expressway, Dallas Love Field, Dallas/Fort Worth International Airport, Dallas North Tollway, Redbird Airport (now Dallas Executive Airport), Loop 12 and other city, county, state and private projects. We also built portions of Hobby Airport and the Katy Freeway in Houston, Interstates 10, 20, 30, 40, 25, 35, 45 and 820 and many regional military and government facilities. We were one of the first to use slip-form paving in Texas and later, successfully employed the technique on subdivision and city streets. We also pioneered the Hagan horizontal shaft central mixer, the lime slurry valve, the Gomaco 9500 placer/trimmer and the use of fly ash in portable plants. Today, our portfolio of work includes municipal and county projects, shopping centers, churches, schools, warehouses, car dealerships, distribution centers and residential subdivisions. "At Lacy Construction, excellence, integrity, safety, and an ongoing pursuit of innovative construction solutions, is the focus of our team. " Lacy Construction provides turnkey stabilization, structural concrete, utility construction and concrete paving services through a single point-of-contact. Utilizing our crews, equipment, and technology we can effectively plan, manage and construct civil construction projects from start to finish. "Hunt Properties feels great comfort knowing Lacy Construction has the ability to handle all of our construction and scheduling needs to meet our sometimes, ALMOST impossible commitments to tenants." “Attitude is everything! And Lacy rates an A+ from my standpoint on this project. All elements for a successful project were there, especially in light of the contractor coordination necessary to successfully complete this residential development."